Probably the most famous of all prophecies is the prophecy of the virgin birth of Jesus. As we shall soon see, this is not a prophecy of a virgin birth, not a prophecy about Jesus and probably not a prophecy at all. Most troubling is the first Gospel of Mark makes no mention of any virgin birth. 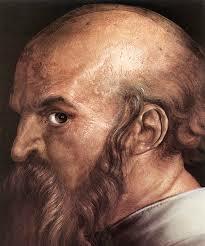 Paul's Epistles and Romans were written a decade or more before Mark also makes no mention of this. When examined in the context of the surrounding chapters of this book, this verse looks more like a discussion of an upcoming event in the author's life. The verse thought to be a prophecy appears at Isaiah 7:14 - "Therefore the Lord himself will give you a sign. Behold, a young woman shall conceive and bear a son, and shall call his name Imman'u-el." Before you accuse me of fudging the verse by replacing virgin with "young woman" I assure you that I pulled this out of the most accurate translation of the Bible that there is, the Revised Standard Version. That this is the correct word used here can be seen from comparing how the word translated as "young woman" is translated in other places. The Hebrew word is ALMAH (al-mah) and it is used 7 times in the Bible. Strictly speaking, it means young woman but depending on the Bible that you are using, it is translated as virgin, maiden and damsel, as well. There is another Hebrew word which is specifically translated as virgin. It is BETHULAH (be-too-lah) and it appears in the Bible 50 times. 38 times it is translated as virgin while the other 12 are spread out over the words maid and maiden. As you can see, there is some question if this word is properly translated. In the first verse of the chapter, we are given the historical context. It is the time of King Ahaz of Judah. It is not a good time for the kingdom as the two nations of Israel and Assyria are marching towards Judah to do battle. At verse three, we are told that the Lord says to Isaiah that he should go to meet King Ahaz and tell him to go and meet the other two kings. Isaiah is told to tell Ahaz that there is nothing to fear from the two kings as they will be defeated and destroyed. In verse 11, the Lord tells Ahaz to ask him for a sign that these things would come to pass. Ahaz refuses, stating that he will not put the Lord to the test. In response to this, the Lord says that the sign would be given anyway, and that a young woman would bear a child and it would be named Immanuel. We can see from these two subsequent verses that the whole purpose of the prophecy is that a child would be born in Ahaz's time that would be a sign that the two attacking countries would be deserted. Would a birth some 700 years later (when Jesus was born) have been any kind of sign to King Ahaz? No, of course not. He was long dead before Jesus was born. 4 for before the child knows how to cry 'My father' or 'My mother,' the wealth of Damascus and the spoil of Sama'ria will be carried away before the king of Assyria." While we do not know the significance of the name Ma'her-shal'al-hash-baz, we do know that it can not be linked up with Jesus' name or Immanuel. We do see, however, know that this is the child prophesied in Isaiah 7:14 as verse 4 here makes the same claim as the verses following 7:14. We see above that there are numerous problems with this being a prophecy of Jesus. The first and foremost is the translation problem. We see that Isaiah was familiar with the term BETHULAH and used it when he wanted to convey a woman's virginity. That he did not employ it at 7:14 seems to indicate that this is not what he meant for this prophecy. In addition to this is the problem that the prophecy was framed in such a way that for it to be true, it would need to occur in the time of King Ahaz. Lastly, we see that the child is indeed born during Ahaz's time as chapter 8 shows us. Far from being a prophecy of a virgin birth, we find a regular pregnancy some 700 years prior to the birth of Jesus.